Doug Brewer's performs with a fantastic blend of comedy and magic! 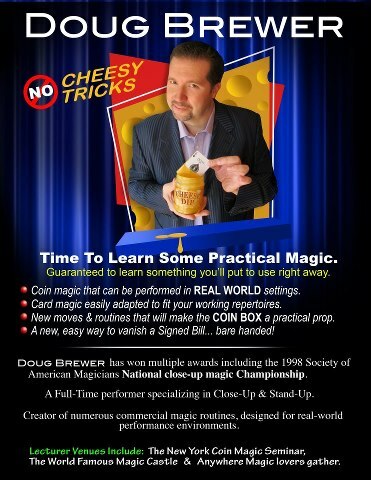 Doug has won many awards and accolades in the magic arena, including winning the 1996 Pacific Coast Association of Magicians Close-up Championships, as well as the Society of American Magicians National Close-up Championships in 1998 in New Orleans. He's also a regular performer at Hollywood's World Famous Magic Castle. Doug promises a lecture night of laughs and amazement . . . and no cheesy tricks. Doug performs regularly at the Red Spade Theater and at the O'Bistro Cafe in San Diego. 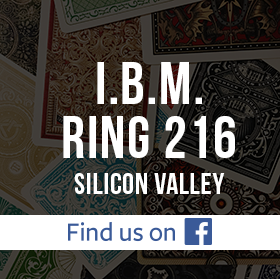 His well known publications include books such as the Unexpected Visitor, High Impact Card Magic, and Coinbox Killers. His DVD releases on card, coin, and money magic include Half and Half Vol 1 and 2, Red Light, The Unexpected Visitor Vol 1 and 2, and the Bill Vanish Perfected.